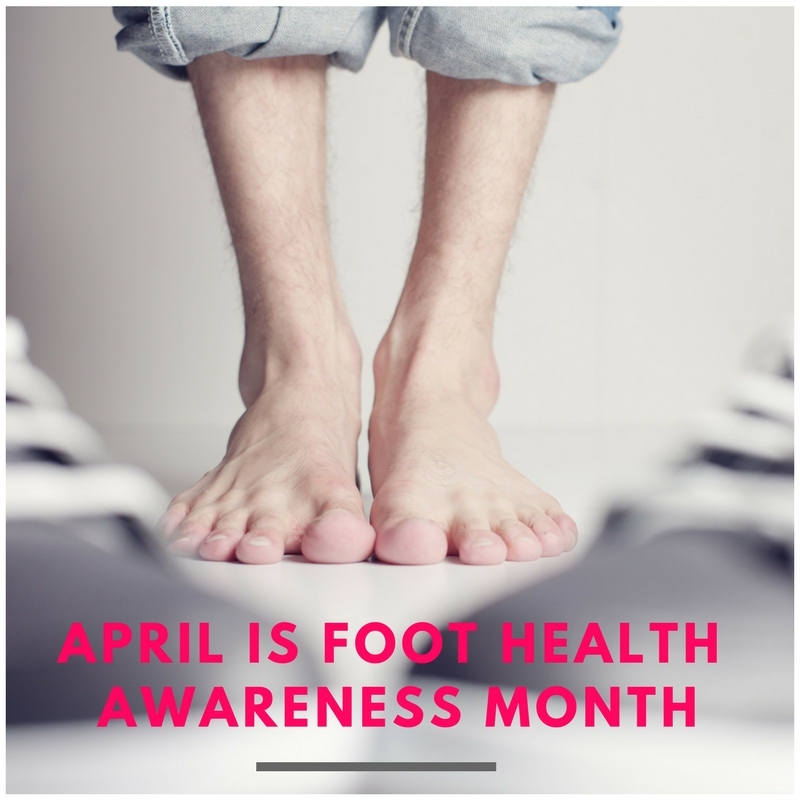 April is Foot Health Awareness Month! And Spring is the perfect time to get your feet healthy and in tip-top-shape. Your feet say a lot about your health, and conditions such as diabetes, heart disease, arthritis and nerve problems can show their initial symptoms in your feet. Your feet work everyday. Whether you stand, walk or run your feet are some of the hardest working parts of your body. Ignoring aches and pains in your feet now, may lead to more serious foot problems later. 1. Does the Shoe Fit? Wear shoes that fit and support your feet properly. Wearing properly fitted shoes can significantly reduce foot problems such as bunions, blisters, calluses, corns, diabetic foot ulcers and general foot pain. Wearing shoes that provide support for your feet also helps reduce pain from foot conditions such as: heel pain, hallux rigidis, capsulitis, arthritis and general foot fatigue. Replace worn out footwear. Shoes that are worn out can cause back pain, heel pain, knee pain, foot pain and a world of other problems. It is worth the time and money to replace your footwear. 2. How Active Are You? Being active and getting the recommend daily physical activity helps strengthen the bones, muscles and ligaments in your feet (and your body) and reduces your risk of disease. Keeping your feet active also helps reduce foot problems that come from aging feet. 3. Do You Have a Trusted Foot Doctor? Seeing a trusted podiatrist is the best way get rid of your foot problem. If you have foot pain Having annual foot exam by your podiatrist can also help prevent future foot problems and detect other health conditions such as peripheral arterial disease, heart disease and diabetes. Taking care of your feet is an important step towards maintaining overall health and wellbeing. Whether you're suffering from morning heel pain, bunion pain, nail fungus or just painful feet, don't ignore it! Foot pain is never normal. Don't take your feet for granted. Talk to your podiatrist about your feet and how to keep them healthy. Fun Foot Facts: How Much Do You Know? The average person walk 115,000 miles in their lifetime. That's 4 times around the globe! There are 250,000 sweat glands in a pair of feet. 1/4 of all bones in the human body are found in the foot. The human foot contains 26 bones, 33 joints, 107 ligaments and 19 muscles. The skin on the bottom of your foot is twice as thick as the skin on the rest of your body. 82,000 foot amputations are performed each year among people with diabetes. 75% of Americans experience foot problems during their life.